These lines were written by Rudyard Kipling. He had pulled strings t o have his only son, John commissioned in the British Army, where he was killed at the Battle of Loos in 1915 at the age of eighteen. I understand the boy had poor eyesight and might, if his father was honest, been deemed unfit to serve as a Private, much less as a commander of a platoon of thirty men. 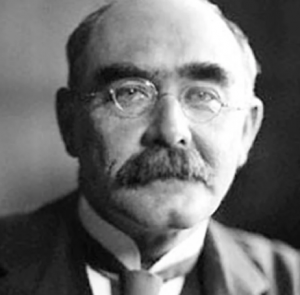 Though Rudyard Kipling had no connection with Ireland – except as a vociferous opponent of Home Rule, he wangled a commission for John in the Irish Guards Regiment in the British Army. He wrote poetry seeking to identify the Regiment with “The Wild Geese” – those Irishmen of the Irish Brigade who joined the French Forces after the broken Treaty of Limerick in the hope of returning to Ireland and routing those who had broken that Treaty. Kipling was not alone in that dishonesty. Joe Devlin, T.P. O’Connor, John Redmond of the Irish Parliamentary (despised by Kipling) were equally guilty. The IRISH GUARDS REGIMENT was established by Queen Victoria to show her appreciation for those Irishmen who served her in the second South African (Boer) War. John Redmond and the Irish Parliamentary Party, and many British Liberals, opposed that squalid episode of British Imperialism, which, among other atrocities, established Concentration Camps, where tens of thousands of civilians, mainly women and children, died. Rudyard Kipling’s contribution to the war propaganda included a much-praised short story where an Englishwoman refused a drink of water to a dying German airman. He had a poor regard for English women, who are rarely so vindictive. He also, with Harry Lauder, was prominent in his support of a resolution passed at a massed meeting in London’s Trafalgar Square in 1918 which anticipated Hitler’s Nuremberg rallies from 1928 into the 1930s. No dissent was reported when the London rally demanded that naturalized British citizens of German, Austrian or Turkish origin be stripped of their British citizenship and immediately interned without trial. In 1935 the Nuremberg laws stripped German citizens of Jewish ancestry of their German citizenship. Kipling’s contribution to European civilization cannot be separated from that of his imitators.